Warner Bros. Consumer Products (WBCP) has joined forces with DC Entertainment and an all-star roster of licensees to deliver a massive film-inspired global licensing and merchandising program inspired by DC's legendary Super Heroes uniting to save the world in the highly anticipated epic action adventure film Justice League, hitting theaters worldwide beginning November 17, 2017, from Warner Bros. Pictures. Offering fans a host of fun and exciting ways to collect, wear and play an array of exclusive retail offerings inspired by the upcoming film. Rolling out at retail this week, this powerhouse program will invite fans to show off their allegiance to their favorite DC Super Hero and the Justice League with an impressive range of product offerings, including toys, collectibles, apparel, accessories, publishing, home décor, and much more. Taking it one step further to fully immerse fans, JoinTheLeague.com continues to serve as an all-encompassing hub as the immersive platform provides fans the unique opportunity to Join the League for the ultimate fan experience featuring an array of exclusive content, activities, games and weekly sweepstakes, as well as an inside-look at film-inspired product previews, cast interviews, and film news. As the release of the feature film draws near, members have even more to look forward to from the site, with this fall's debut of exclusive Augmented Reality (AR) experiences all available only for fans that answer the call to #JoinTheLeague. Here's what Pam Lifford, President, Warner Bros. Consumer Products, had to say in a statement. "The most celebrated DC Super Heroes are uniting on the big screen for the first time ever in what is a truly epic entertainment experience. We are eager to expand the fan experience by fully immersing them in all things Justice League. With a multi-faceted program featuring the highest quality product, WBCP is delivering fans what they want to help get in on the action as they Join the League." WBCP's multi-category program pairs best-in-class licensees, including Mattel, The LEGO Group, Rubie's Costumes, Funko, Jakks Pacific, Hot Toys, Kotobukiya, Bioworld, Under Armour, Converse, New Era, and many more, with top retailers including Walmart, Target, Toys 'R' Us, Amazon, GAP, Hot Topic and Party City, along with a broad array of global, regional and local partners, to unleash a robust lineup of Justice League-inspired merchandise around the world. Among the highlights of WBCP's multi-category global licensing program bringing to life the DC Super Heroes of Justice League is a wide product range from global partners including Mattel, with its fan-favorite Multiverse line of action figures which captures the superior accuracy and details of the film's Batman, Superman, Wonder Woman, Aquaman, Cyborg, and The Flash. Also included in Mattel's debut lineup of collectibles and toys inspired by the film is the limited edition, remote-controlled replica of the Justice League Batmobile that roars into large-scale action complete with RC functionality, premium deco and features that include smoke release from the exhaust pipe, moving missiles on the hood of the vehicle, roaring engine sounds, and four armored-up wheels. The LEGO Group also offers fans of all ages the chance to actively create their own Justice League-inspired experience with an exciting line of construction sets, placing the film's action-packed story into the hands of fans. Rubie's Costume Co. also introduces a new line of Justice League film-branded costumes and accessories for both kids and adult fans. Additionally, fans can take home their favorite Funko Pop! vinyl figures of the film's Justice League, as well as mini versions of the DC Super Heroes from Jada Toys' 2.5-inch and 4-inch metal figurines. Renowned retail partner GAP continues its global collaboration with WBCP in a collection inspired by the attributes of the iconic DC Super Heroes and the Justice League film for fans of all ages. Fashion-forward fans will also be able to show their support for the "Justice League" with additional global partners including Bioworld, with an inspired collection of apparel and accessories featuring graphics and icons representing the Justice League; Under Armour, sporting its high-end athletic wear; Converse, with classically stylish footwear paying homage to the "Justice League" with their own signature design; and New Era lines up a collection of fan-favorite caps. Other leading licensees include Hallmark for greetings, Itty Bitty plush, ornaments and gift presentation; Franco Manufacturing for home textiles and home décor; American Greetings for party goods; Trends International with calendars and posters; and The Northwest Company with throws and pillows for the most passionate Justice League fans. WBCP will also offer a publishing program for readers of all ages and skill sets, including publications by Titan Books, Insight Editions, Centum, and Panini that will capture some of the most unforgettable moments from the film, as well as offering a behind-the-scenes look at the making of Justice League. Around the world, WBCP and its licensees and retail partners have joined the league to celebrate the release of Justice League by providing fans with a broad range of product offerings across their regions. Throughout Europe, the Middle East and Africa (EMEA), retailers and partners will offer an array of product supporting Justice League, including Primark, EMP, Tesco, El Corte Ingles, Detsky Mir, Top Toy and Carrefour. Regional partners like GB Eye and Pyramid International will offer posters and stationery; Panini will be launching a sticker album featuring the new film across EMEA, as well as Latin America and North America; among many more. In the UK, the grocers Tesco and ASDA are supporting Justice League strongly across key categories instore and online. The toy specialists Argos, Smyth's Toys and Toys 'R' Us will be supporting Mattel, The LEGO Group, Rubie's Costume, Funko, Jakks Pacific and more. Other category-leading licensees include Bon Bon Buddies, Smith & Brooks, Global and Aykroyds. In Italy, partners like OVS will release film-inspired apparel collections with dedicated window displays featuring the Justice League collections; and Campari will introduce Justice League film-inspired limited edition soft drinks. In Germany, the film will see support from Elbenwald, EMP, with dedicated catalogue covers alongside social campaigns; and Mauritius with a Justice League-inspired signature leather collection. Other partners include Müller and Muckle with life-size sculptures of the team, and Schleich with collectible figurines. "Justice League" has the support of an extensive list of licensees in Spain and Portugal developing products in several key categories, including back-to-school with Cerdá Group, Karactermania and Grupo Erik; apparel and accessories from Inditex and Springfield; and themed food items from Gullón Company. In Canada, WBCP has also partnered with major retailers including Toys'R'Us, Walmart and EB Games, to support the film with consumer-engaging initiatives and product assortment offerings available online and in-store. Throughout the Latin America region, partners and retailers are supporting "Justice League" in many countries and multiple categories. In Mexico, licensees include Photo Pack with luggage and backpacks; Industrias Dark, Movis S.A and Creaciones Guz with apparel; Oceanus International with bicycles, scooters and camping gear; Regalos Siglo XXI with dinnerware; and Carvajal Educacional and Industrias Danpex with stationery. Special retail programs throughout the country will be executed at Walmart, Liverpool and Suburbia, and a special promotion with Bimbo Bakeries will bring the "Justice League" characters for fans to enjoy in bread, pastry and confectionery offerings. In Brazil, "Justice League" will be supported across all categories, including the most prominent fast-fashion retailers in the country such as Riachuelo, C&A, Renner, Marisa and Pernambucanas, along with additional products from partners including Xeryus and Maxtoy with backpacks, and Jandaia with notebooks. The Brazilian DC online store is also planning an amazing "Justice League" inspired collection that will be revealed later this year. Throughout Central and South America, a league of licensing partners from apparel to stationery and paper goods will bring their product lines to the market in an exclusive retail program at Falabella, one of the biggest department stores in the region. In the Asia-Pac region, fans can get into the action at retailers throughout Asia, with many partners supporting the theatrical release of Justice League with a variety of product to roll-out soon. In Japan, collectible figures and toys will be released from Bandai, Good Smile Company, Hot Toys, Kotobukiya, Medicom Toy, Prime1 Studio, Square Enix and TOMY Company, Ltd.; amusement prizes and toys will also be available from Banpresto and Furyu; wrist watches from Seiko Watch Corporation; and eyewear from megane ichiba. In Australia, retailers Big W, Toys'R'Us, MYER, Kmart, Target, EG Games and more, will feature product from multiple licensees, including apparel, footwear, backpacks and bedding from Caprice; sleepwear and underwear from Mitch Dowd; collectibles from IKON Collectables; luggage from Australian Luggage; home décor and gifting and novelties from Licensing Essentials; and a local publishing program from Scholastic. Throughout the rest of the Asia region, WBCP celebrates the highly anticipated theatrical event as the DC Super Heroes stores in China, Singapore, Malaysia, Indonesia, will be launching a collection of apparel and accessories. In China, China CITIC Bank will be launching Justice League-themed credit cards, while China Film and MTime will be launching a multi-category product line highlighted by apparel, accessories and toys. In Taiwan, Beast Kingdom is launching 1:9 collectible figures, gifts and novelties, as well as an apparel collection. And the Southeast Asia region, Mondelez will launch "Justice League"-themed Cadbury Dairy Milk Chocolate bars across Hong Kong, Singapore, Malaysia, Philippines and Indonesia. Directed by Zack Snyder, this marks the big screen debut of the Justice League, featuring an all-star lineup: Ben Affleck, Henry Cavill, Gal Gadot, Jason Momoa, Ezra Miller and Ray Fisher. Justice League is written by Chris Terrio, based on a story by Terrio and Zack Snyder, based on characters from DC Entertainment, with Superman created by Jerry Siegel and Joe Shuster. The film is produced by Charles Roven, Deborah Snyder, Jon Berg and Geoff Johns, with Jim Rowe, Wesley Coller, Curt Kanemoto, Chris Terrio and Ben Affleck executive producing. Warner Bros. Pictures presents, in association with RatPac-Dune Entertainment, an Atlas Entertainment/Cruel and Unusual production, a Zack Snyder film, Justice League. It will be released in theaters beginning November 17, 2017, and distributed worldwide by Warner Bros. Pictures, a Warner Bros. Entertainment Company. 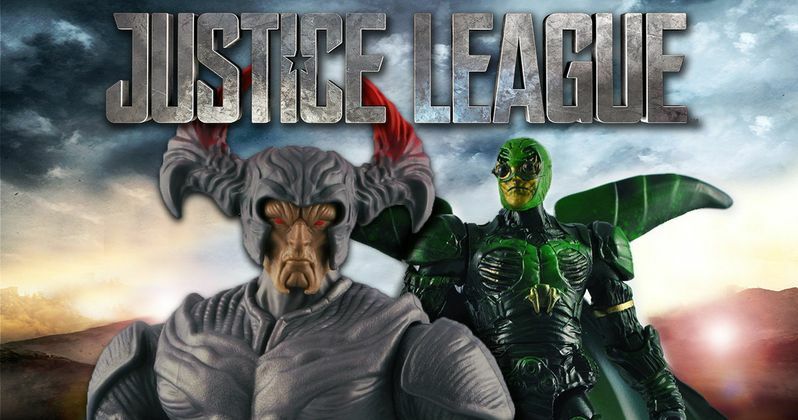 Take a look at a new video with Justice League cast members unboxing some of this new merchandise, along with new photos below.